Pacific Plastics Injection Molding’s (PPIM)’s part design and engineering goal is to help you develop the simplest possible product without compromising functionality or market appeal. In addition to product design services, PPIM’s engineering team can conduct a design for manufacturing assessment. A minor design change can save thousands of tooling-dollars—more significant changes can save tens-of-thousands of dollars. These up-front savings flow back into your pocket. 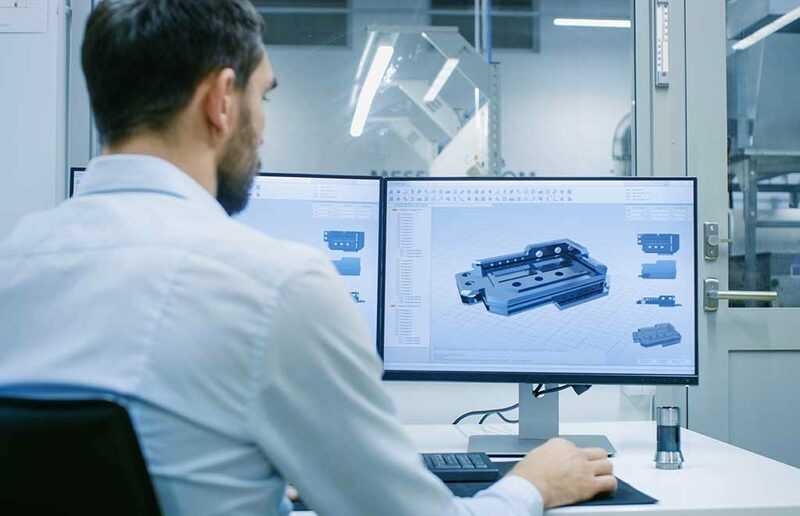 In addition to monetary savings, customers benefit from a reduction in schedule risk, enhancements in product reliability, and improvements in tooling life and reliability. PPIM wants your product to succeed. PPIM has over 160 years of product development experience. We understand the demands of product development. We deliver in-house design expertise—with SolidWorks and AutoCAD. PPIM can create your design from scratch. We also have an outstanding network of design associates to expand our team as appropriate.